Can EA Redefine Its Bad Reputation With Star Wars Jedi Fallen Order? Even before Star Wars Jedi: Fallen Order was full unveiled, EA and Respawn were hyping the game by saying it was a single-player adventure with no multiplayer or microtransactions. These three promises alone were enough to get people hyped up and excited about the game without even seeing the prerendered trailer that would show the next day. The “why” is simple. EA is infamously known for moving away from single-player games in favor of multiplayer options that they can monetize long term using microtransactions. 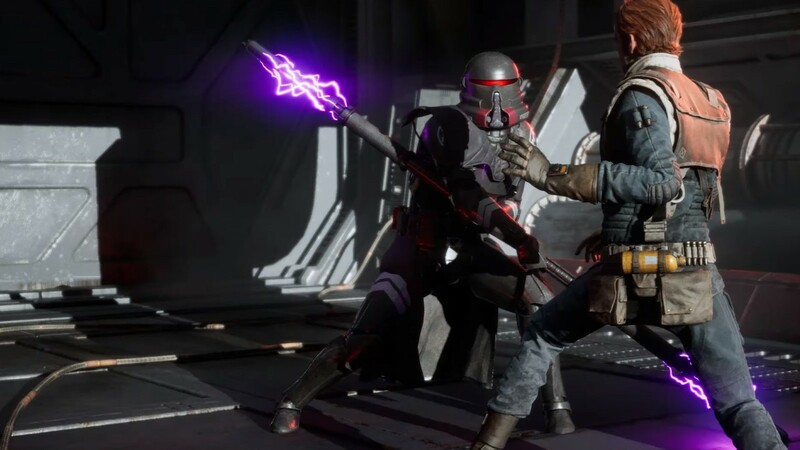 Even Amy Hennig thought the Jedi: Fallen Order reveal was odd, due to her own single-player Star Wars game being canceled by the same publisher. What’s telling is how often a publisher gets painted into a corner, defined by the features that their games hold. EA is now notorious for not only making games that are largely multiplayer and laden with ways to monetize beyond the first sale, but they also have a reputation for killing single-player games and studios. Just look at the legendary developers that have been shuttered under EA’s watch. Westwood. Pandemic. DreamWorks. Maxis. Visceral. And then there’s its treatment of studios not yet shuttered, but creatively empty, like BioWare. EA owns the rights to some of the most beloved franchises out there, including the likes of Dead Space and exclusive game rights for Star Wars. People have been rightly worried that EA would perform the same gutting on Respawn that it’s done to multiple other studios. But the success of Apex Legends should keep them afloat, right? I mean, so far, they are one of the only EA studios not under the tight leash of the publisher. They don’t have to use the Frostbite engine. They have creative freedoms to make the games they want to. But can returning to a single-player, multiplayer and microtransaction-free game change people’s perception of EA as a publisher? Or is it going to take a lot more than finally making a good Star Wars game to fix the optics on a company once voted the worst company in America? It’s quite possible that EA is throwing the burden of proof to the fans. 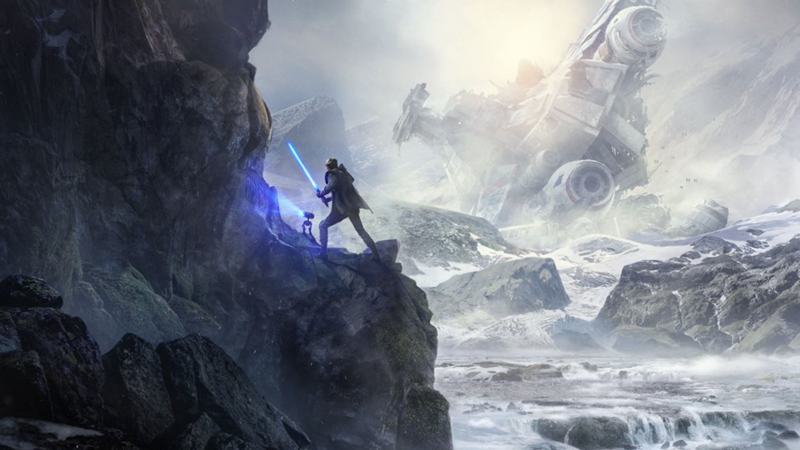 EA’s social marketing has specifically revolved around Jedi: Fallen Order being everything that EA is not, but what happens if it falls short? What if people don’t put their money where their mouth is? As much as this could be an opportunity to prove EA wrong about the possibilities of success for a third party games that doesn’t rely on post-purchase monetization (first-party games designed to move consoles are a different story), it’s also a chance for EA to feel justified in how it’s handled business for the last few years. If Star Wars Jedi: Fallen Order fails to perform to expectations, it could be the “I told you so” that EA is looking for to go back to shoveling multiplayer and microtransactions into places that fans feel it doesn’t belong. On the other hand, if Star Wars Jedi: Fallen Order is a rousing success, we might see the beginning of a redefinition of the publisher. In five years, there’s a possibility that EA will start to shed its poor reputation, at least if they learn anything from the game doing well. Though it might be on fans to show that those things they’ve been demanding are actually a feasible investment. Like any other publisher, EA needs a larger variety of properties and ideas, both multiplayer and single-player, monetized and single-purchase. Force willing, Star Wars Jedi: Fallen Order and Respawn’s relative autonomy under EA’s leadership could be the beginning of that.